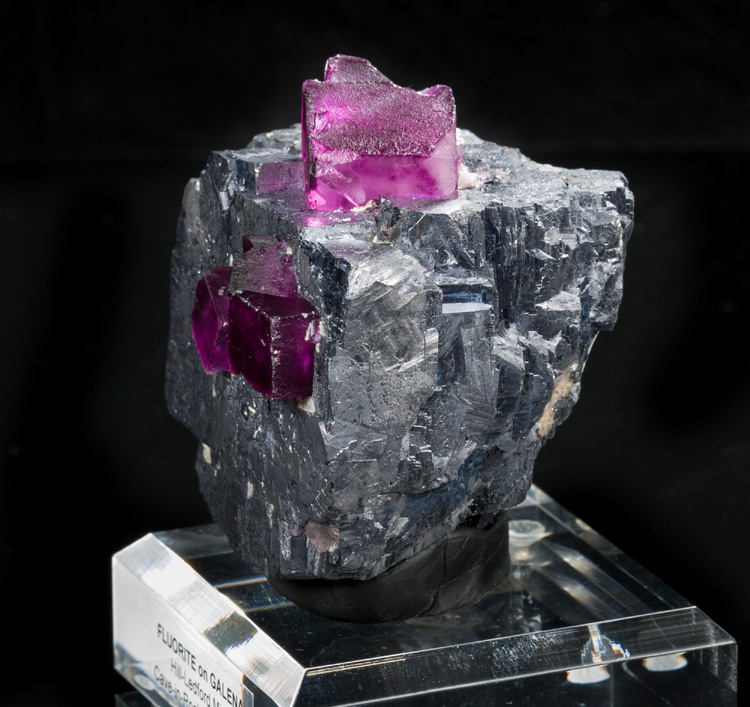 This is a really, really special specimen from Illinois! 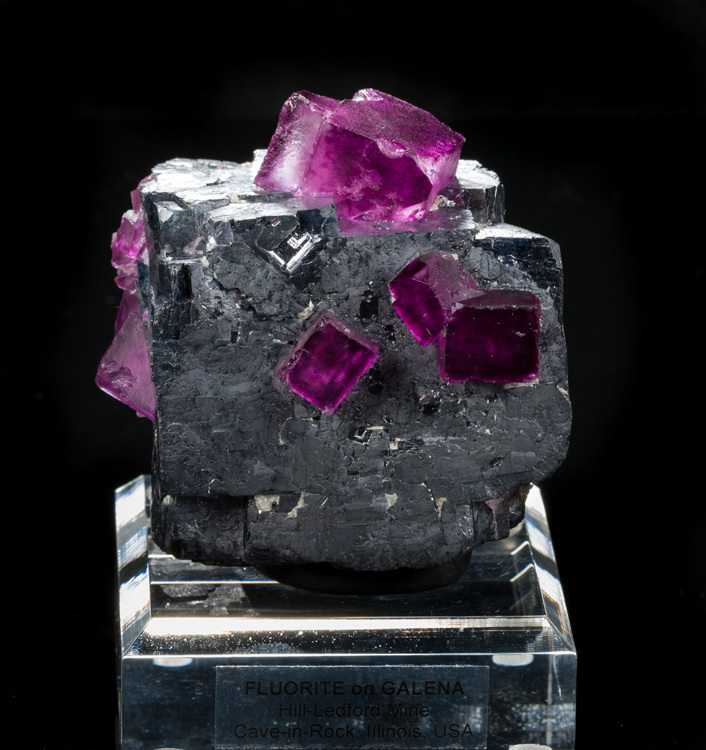 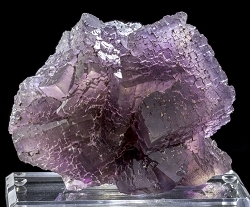 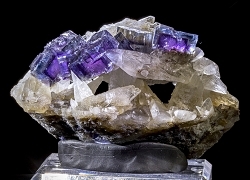 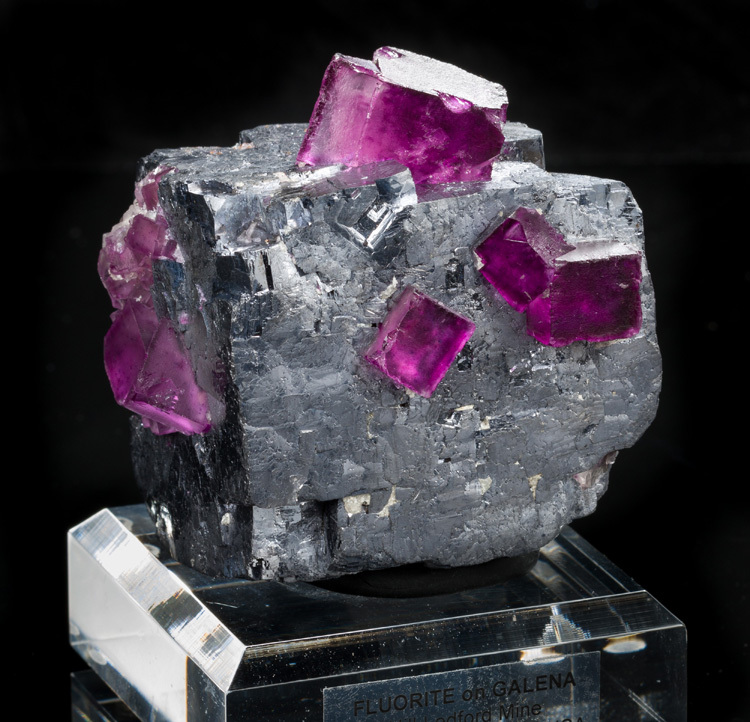 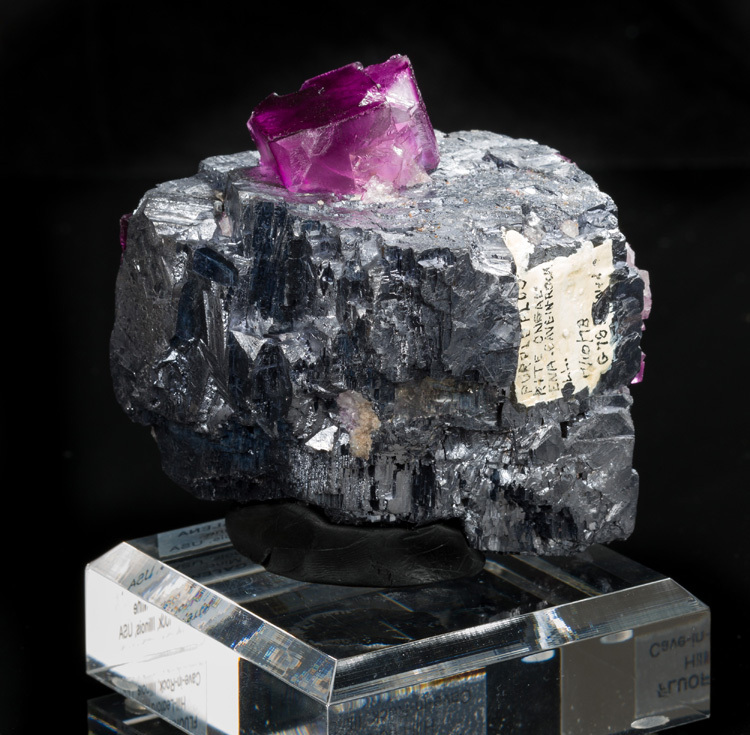 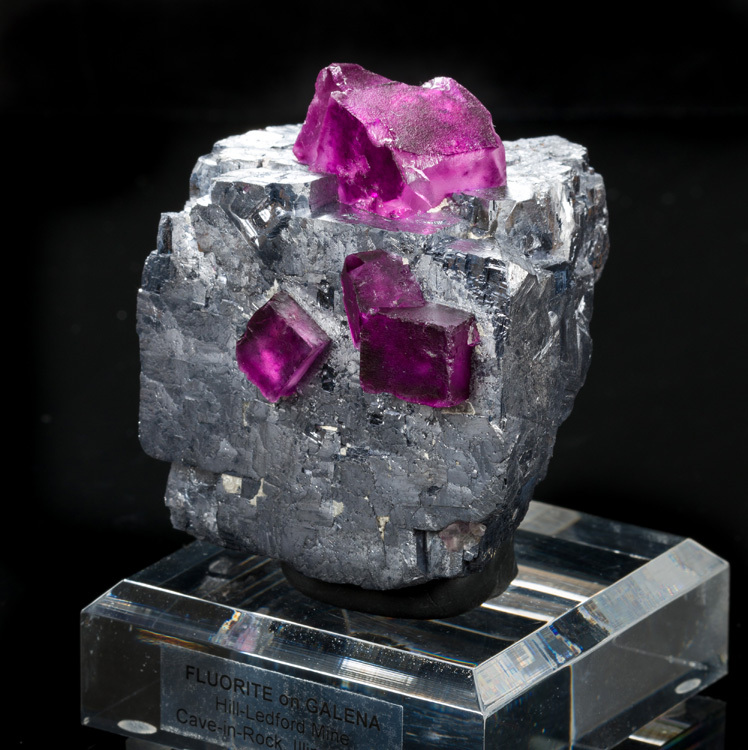 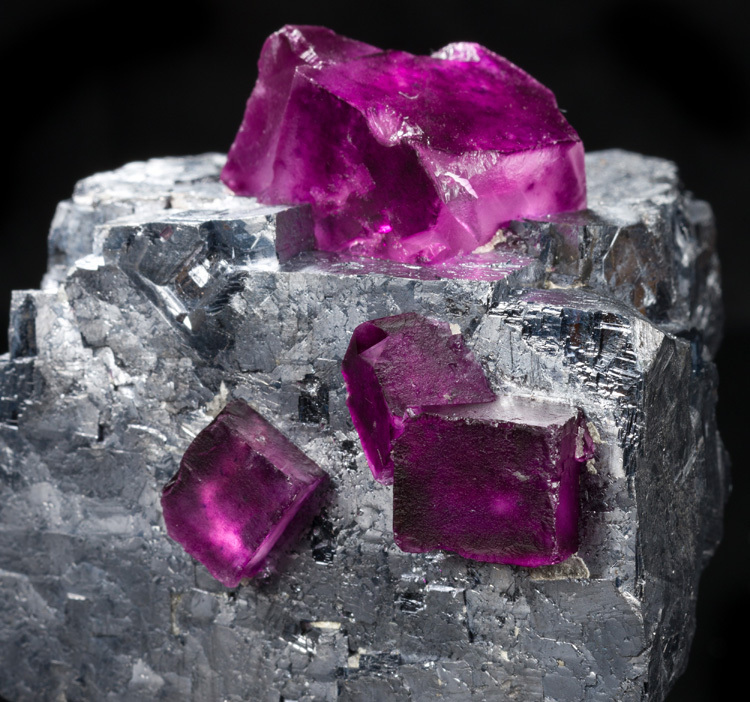 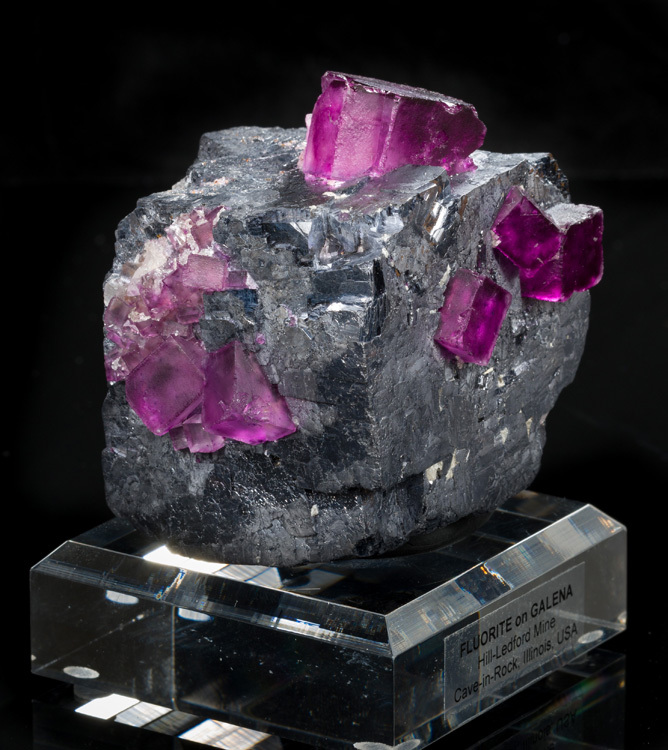 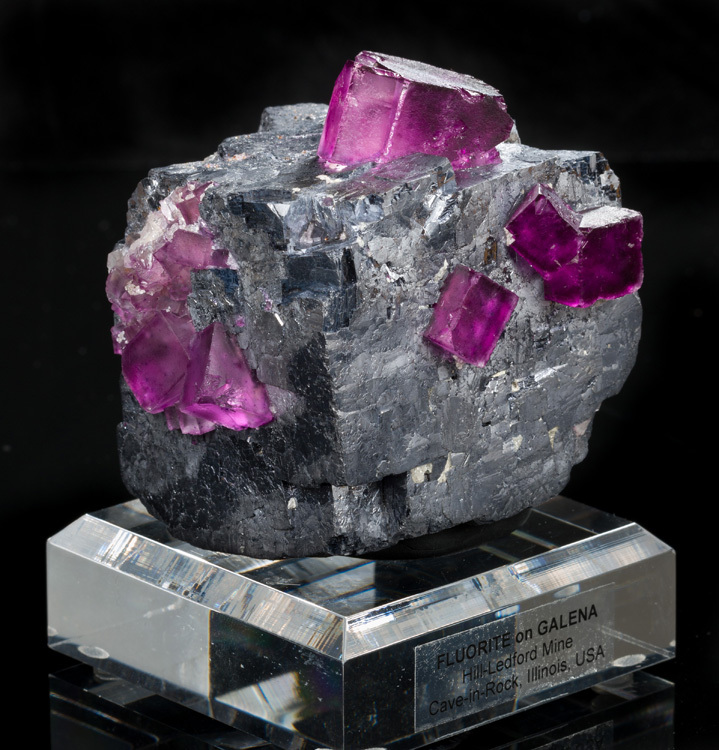 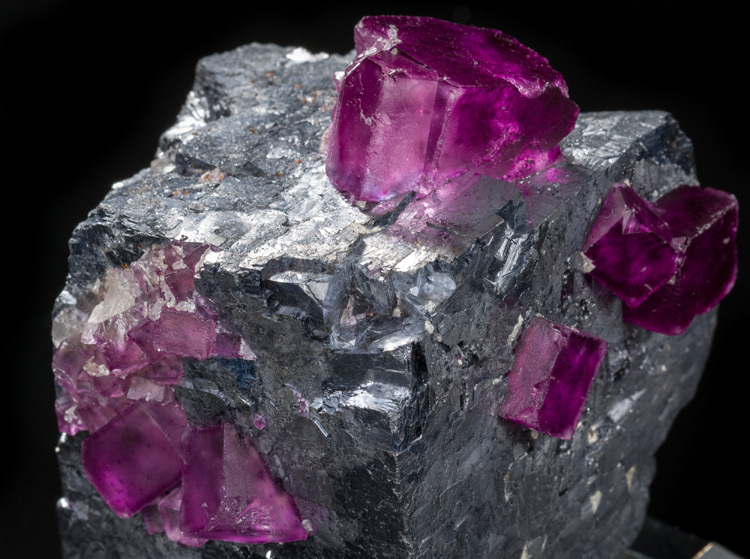 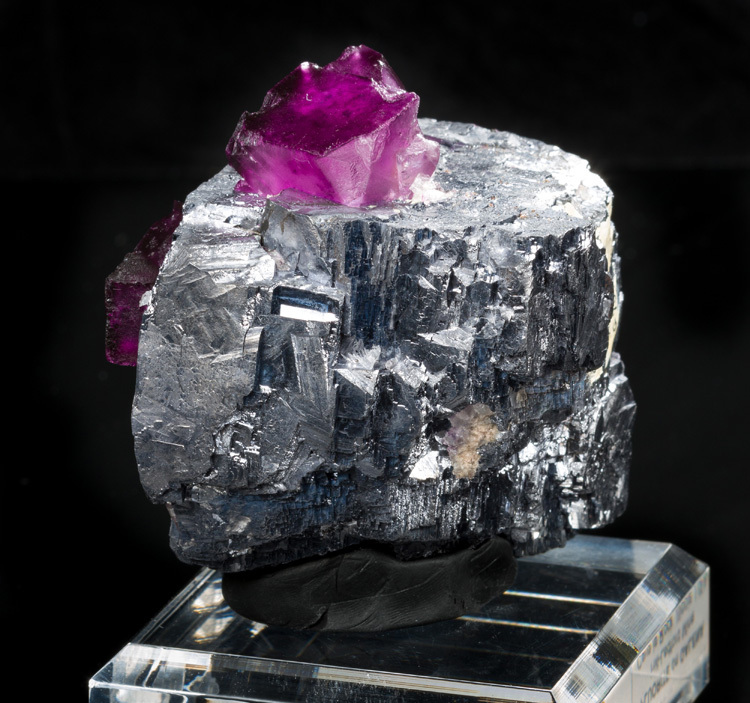 A large, shiny galena cube is covered in beautiful, plum-colored fluorite crystals up to 2.4cm long. 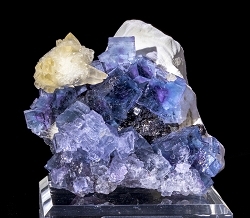 While this combination of minerals is not unusual for the locale, the arrangement and aesthetics definitely are. 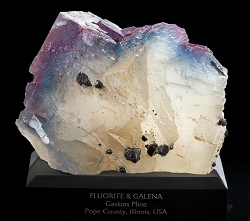 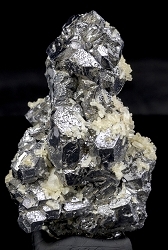 Most specimens are just small, chunky masses of galena with chunky masses of fluorite. 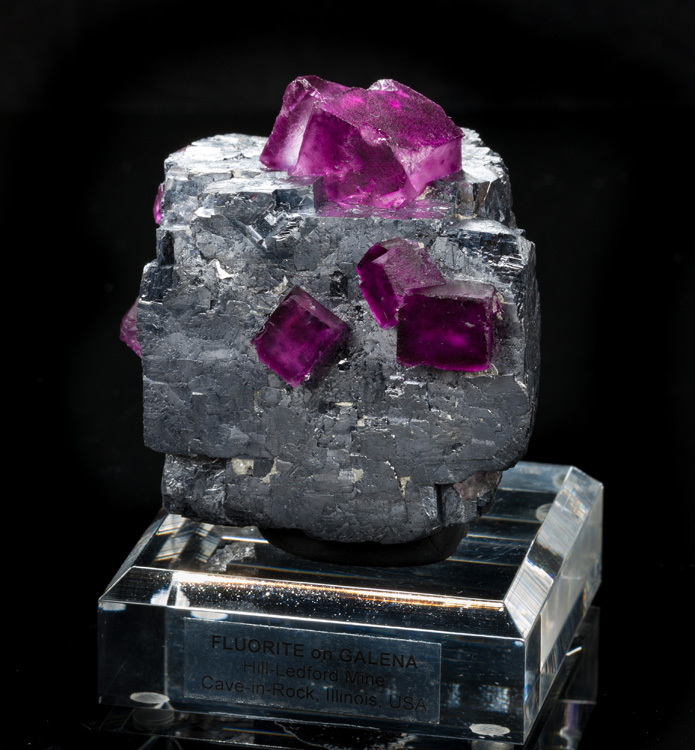 We have never seen an example anything like this before. 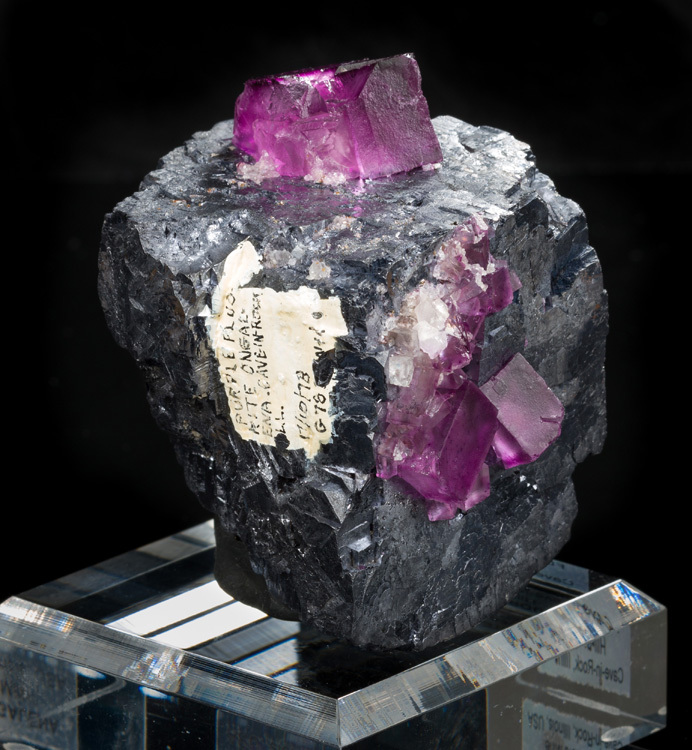 This is easily the best, most unique, Hill-Ledford specimen we've ever encountered.